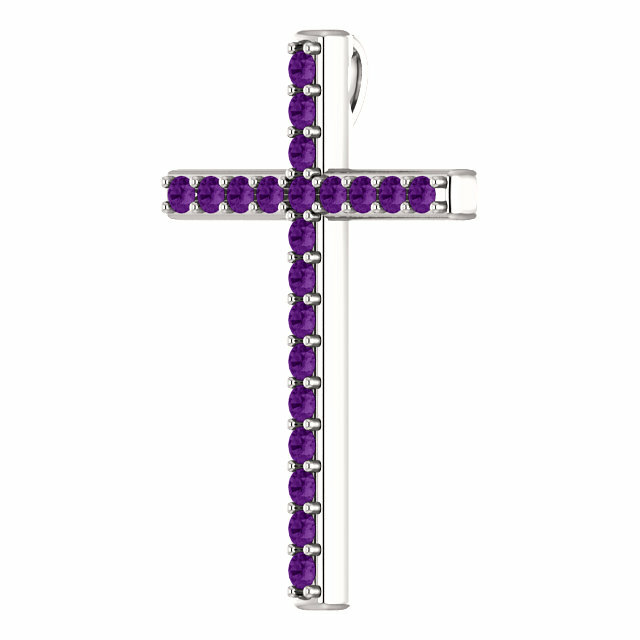 The royal purple color of this genuine amethyst cross pendant in white gold symbolizes that Jesus is the Prince of Life. "And killed the Prince of life, whom God hath raised from the dead; whereof we are witnesses" (Acts 3:15). Crafted in your choice of 10k, 14k, or 18k white gold, or platinum (please allow 7 days additional for platinum). 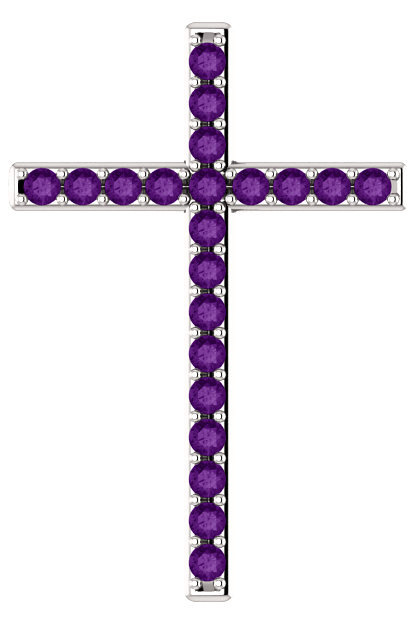 The cross pendant is set with a total of 21 "AA" Rated 2mm-round authentic amethyst gems, totaling approx. 0.84 carats. The cross measures 1 3/16" tall x 13/16" wide and has a hidden hoop/bale behind for a pleasing aesthetic when wearing the cross. You can also add a matching cable-chain necklace from Apples of Gold Jewelry or wear it with a necklace of your own choosing. 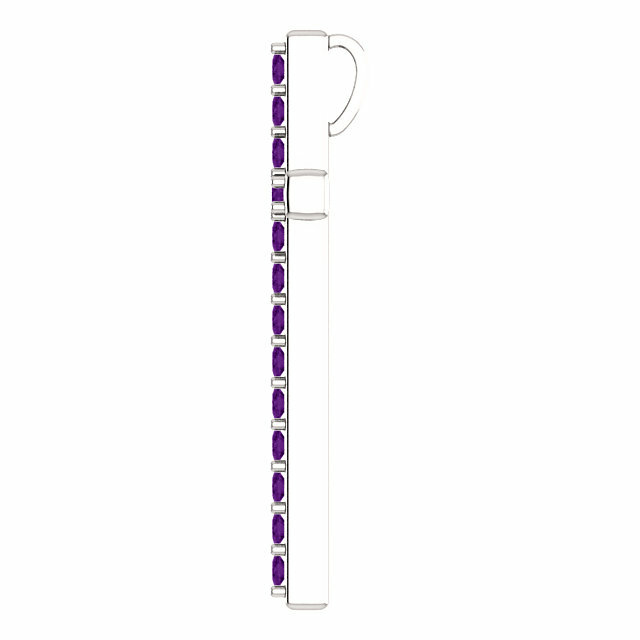 Our amethyst cross pendant is also available in yellow gold or sterling silver, shown below. We guarantee our Prince of Life Purple Amethyst Cross Pendant in White Gold to be high quality, authentic jewelry, as described above.